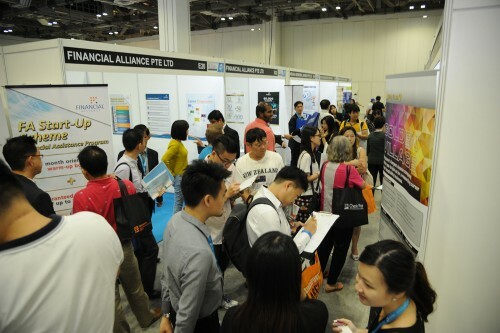 AS Asia continues its rise from being a backwater to an emerging global economic power with a healthy appetite for legal advice, foreign law firms have flocked to Singapore in recent years and, in the process, have created a kaleidoscopic business of law. 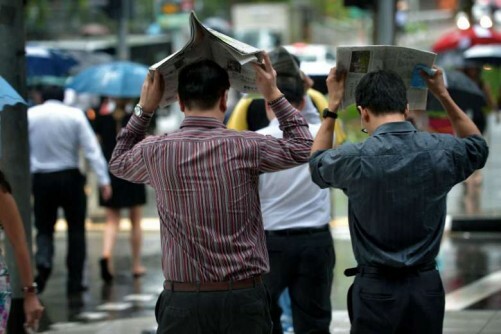 Lawyers told The Business Times that varying models are being used, particularly by mid-sized firms, since Singapore opened its doors to foreign firms in 1992 when it allowed them to set up offices here. Many remember the stories of two of the Big Four firms departing from traditional organic growth. Clifford Chance and Wong Partnership divorced in 2008. Allen & Gledhill's merger talks with London-based Allen & Overy crumbled, and its alliance with Linklaters also did not last. In recent memory, Quahe Woo & Palmer tied the knot with Wee, Ramaya & Partners in early July - an uncommon marriage between local firms. In April, it was between KhattarWong and international firm Withers, and in March, US-based Morgan Lewis & Bockius and Stamford Law. Lawyers say alliances with sizeable local firms is the fastest way for foreign practices to gain access to regional work. Conversely, local firms rely on this to catapult themselves onto the global scene. The amount of cross-referral work involved and the exchange of legal knowledge and expertise also fuel such tie-ups. Tan Chong Huat, managing director of RHTLaw Taylor Wessing, believes more "interesting permutations" await in the years ahead. Local practices, he says, have to decide if they want to be very niche or eventually be overtaken "because when the big boys come to town, they come in with a bigger wallet and have got a bigger practice". Lee Eng Beng, managing partner at Rajah & Tann, says there is no predominant structure in Singapore as the business models adopted reflect the commercial objectives of the firms and how they want to operate. For example, an international firm specialising in shipping work will typically collaborate with one or two Singapore shipping lawyers. They will set up a new "captive" Singapore firm and then partner the international firm, says joint managing director at TSMP Law Corporation Stefanie Yuen Thio. The hive of activity appears to bode well for the legal scene here although some think otherwise. Shashi Nathan of Withers KhattarWong, for instance, says that firms have to bear in mind the importance of growing organically as acquisitions and partnerships could mean a loss of identity. Meanwhile, the Big Four accounting firms could prove to be a formidable force in the near term. Deloitte, EY, KPMG and PwC have returned to the legal business with a vengeance after their failed experiment some two decades ago. Think back to the 1990s when Arthur Andersen tried to diversify from auditing and tax, to consulting and law. The Enron scandal took down Arthur Andersen in 2002 and the trend halted. But not for long. 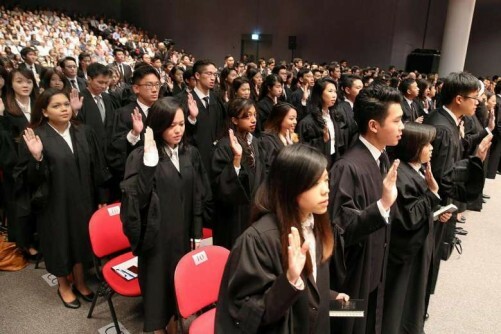 Chris Woo, PwC Singapore's tax leader, said last July that Camford Law Corporation joined PwC's global legal network of over 2,500 lawyers in 85 countries. 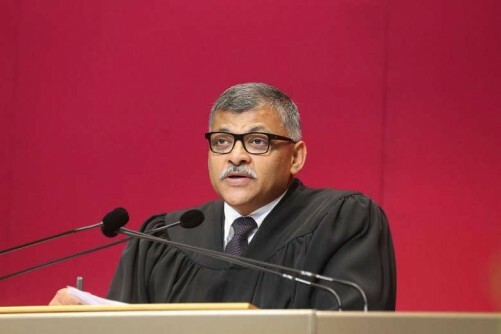 He said PwC's vision is to become a leading global legal services network over the next 3-5 years, with focus in areas such as corporate reorganisation, labour law, mergers and acquisitions (M&A), and tax litigation. Globally, EY's legal network spans 66 jurisdictions, 88 offices and over 1,500 practitioners, said Asia-Pacific law leader Howard Adams, who added that the group intends to grow its presence across the South-east Asian countries in which it operates. PK Wong & Associates in Singapore is part of this. Its other member that is also here - international practice DA Partners - was granted the foreign law practice licence in June. KPMG says its legal network comprises 1,700 professionals in 23 countries in the Caribbean and Europe. Deloitte & Touche's spokesman could not be reached for comment. The turn of events is making some nervous. Said Rajah & Tann's Mr Lee: "A lot of us lawyers don't want anything more than to just be able to tackle a difficult case, look at 19th century cases, chase the law and try to argue or solve legal issues for the client. We are not as business-oriented." So accountants - who are better organised, have a sharper nose for business and are more efficient because "it is in their blood" - have made the legal fraternity sit up and pay close attention, he said. Still, many have reservations about how far accounting firms will go in marrying the two professions. Observers cite a conflict of interests due to the audit clients, so accounting firms will not be able to take on a lot of work. They added that lawyers who used to refer work to accountants will probably stop doing so. 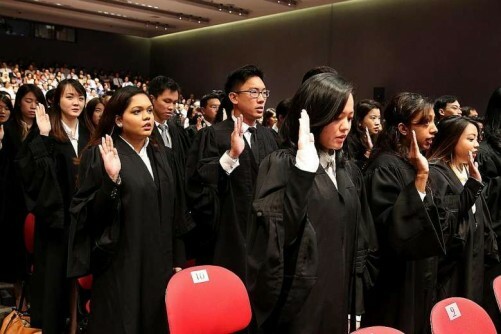 Patrick Tan, CEO of Fortis Law Corporation, is doubtful if the developments would "take the market by storm" but believes they would not impact smaller legal outfits as these firms usually handle community law work. There are also those who point to the high entry barriers in highly specialised practices such as M&A. Whatever the case, lawyers say local firms are adopting a wait-and-see attitude to find out which business models pan out before deciding whether to follow suit.